Sometimes, two-wheel drive isn’t enough, especially during Breckenridge and West Fargo’s harsh winters. 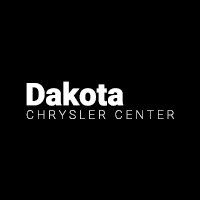 Fortunately, Dakota Chrysler Center offers 12 of new SUVs with 4WD for sale. The majority of our 4WD SUV selection includes some of the most popular models from Jeep, including the Jeep Cherokee, Grand Cherokee, Renegade, and Wrangler. Explore our SUVs with 4WD for sale below, then schedule a test drive in Wahpeton! 2018 JEEP WRANGLER UNLIMITED SAHARA!! HEATED SEATS AND STEERING WHEEL! BACK UP CAMERA, AUTO START, AND NAVIGATION!! What Are the Benefits of 4WD for Fargo Drivers? The most obvious benefit is greater traction control on precarious driving surfaces, such as mud, gravel, and snow. Jeep models like the Grand Cherokee and Wrangler are Trail Rated®, and offer Quadra-Drive® and Command-Trac® 4×4 systems for rugged terrain. You can upgrade and improve these systems as necessary, depending on your driving habits and whether you spend a lot of time off-roading. Get pre-approved to finance or lease one of the SUV with 4WD shown above!